Find out four reasons why this safe 7.1% yielding REIT is a very strong buy. That includes strong and improving fundamentals, great management, and market crushing return potential. 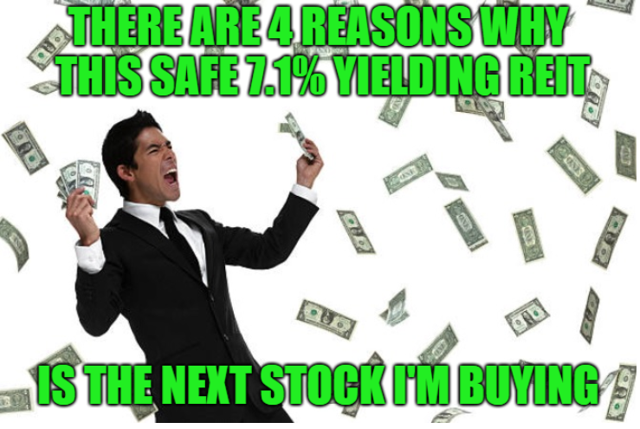 This is why I’m adding more to my retirement portfolio. A powerful share, I just given this onto a colleague who was doing a little analysis on this. And he in reality bought me breakfast as a result of I discovered it for him.. smile. So let me reword that: Thnx for the deal with! But yeah Thnkx for spending the time to debate this, I feel strongly about it and love studying more on this topic. If doable, as you turn into expertise, would you mind updating your weblog with extra particulars? It is extremely helpful for me. Huge thumb up for this weblog put up! I own KIM myself and plan to do regular updates on them. Will have to do one soon looking at earnings and what it means for the turnaround efforts and long-term growth rates (good things).